Driving into the backcountry before the sun rises. I was out looking to photograph some eagles during the winter migration in British Columbia, Canada. 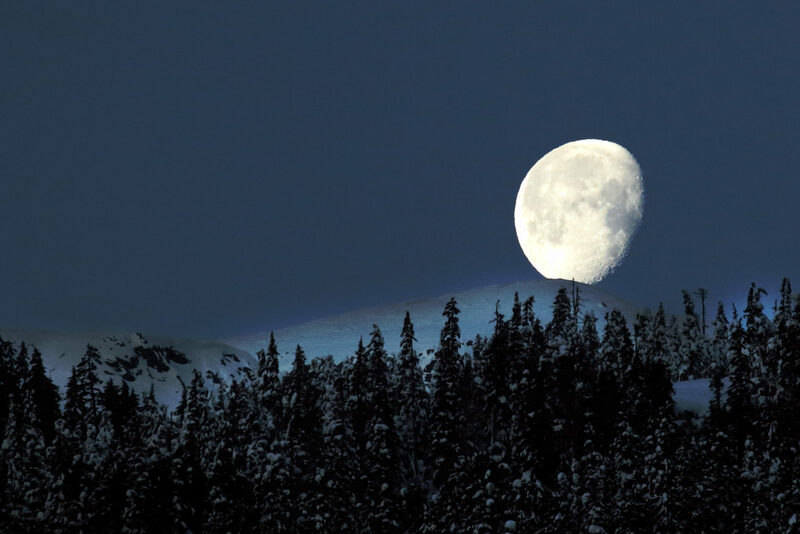 My telephoto lens was on and a beautiful moon shone over the mountain.